George and Margaret's second child Elizabeth was baptised 2nd March 1817 at the Parish Church of St Giles in the Fields. 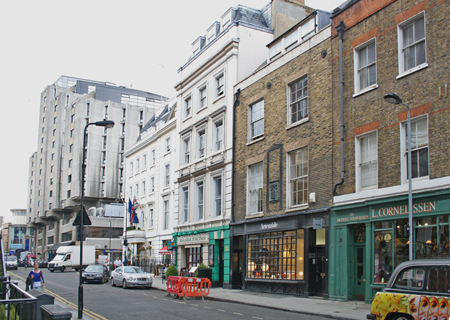 The family were now living at 114 Great Russell Street, off Tottenham Court Road St Pancras. 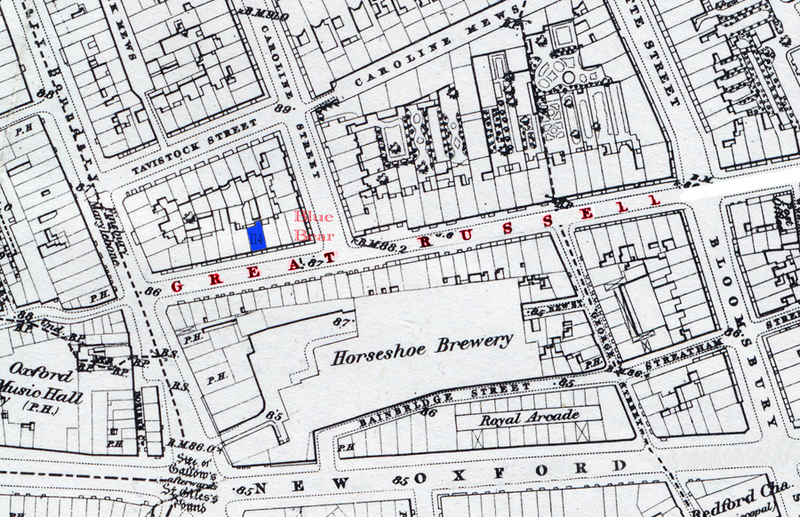 The property has been coloured blue on the map below which shows its position near the Blue Boar Pub on the corner with Caroline Street (Now called Adeline St). The present day photo (left) shows the view westwards along Great Russel St on the north side. Everything west of the Blue Boar was redeveloped in 1930's. A large YMCA Hostel occupies the area now.